Wilson Lake. A small lake, compared to the other giants among the Tennessee river system, yet only in size. This old impoundment has yielded many records, including the previous world record smallmouth bass (10 lbs.8 ozs.) in 1950. Only 15,930 surface acres separates Wilson lake from upper Wheeler Lake and lower Pickwick Lake. 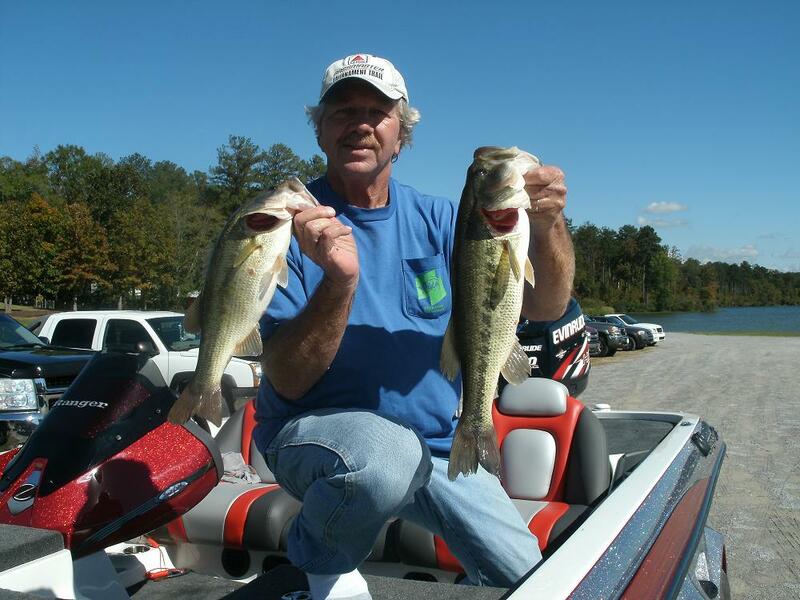 At the lake’s headwaters, just below Wheeler dam, lies a variety of fish and fishing situations. 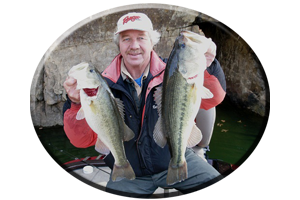 Feeder creeks display loads of wood cover, weeds and rock bluffs, and main lake areas offer many choices for the summertime angler, whether day or night fishing on Wilson Lake. 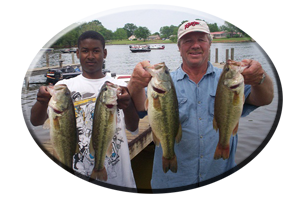 Wilson Lake is noted for its tailrace fishing, at the lakes headwaters, fishing just below upper Wheeler lake dam. This takes place year-round and summertime is no exception. During early morning feeding sprees bass of all species school and feed around the boulder-strewn flats, both above and below the island in the middle of the lake, and usually from the dam, downstream for a few miles. Drifting in the current with live bait is a popular system for fooling all species of fish and it works year-round. But lures can be deadly as well in the summer. Schooling action always calls for fishing with topwaters, spinners, grubs, plastic shad imitations, crankbaits, jerkbaits, swim baits and rattlin’ lipless lures. This schooling action also takes place each evening and during rare, all-day summertime rains. Long casts are often necessary for targeting these nomadic bass of all species) that seem to always surface just a little more than a good cast away. Be rigged and ready, for they can disappear as fast as they appeared. Heavy, oversized lures, cast great distances often get the bigger bass bite in these schools of frenzied feeders. These fish will also forage and feed just below these dam headwaters in several of Wilson’s major feeder creeks. These feeder creeks harbor schools of baitfish, crayfish, smallmouth bass and some nice 5-10 pound largemouth’s all summer, to be found feeding from the creek mouths to the far back ends. Some are constant flowing feeders with cool water and a slight current to be found year round. Town Creek, just below the lake headwaters a few miles on the lake’s south side, is the most popular creek that features rock bluffs, grass beds, a bridge and lots of wood cover such as trees, brush, piers, and stump flats, all the way to the back of this popular creek. There is also a marina in Big Nancy Creek near the Wheeler dam for supplies, live bait and gas. Also check out Shoal Creek, Blue Water Creek and McCerman Creek on the lakes mid-to-lower end. From midlake to the lakes lower dam there are many places to target for smallmouth bass. Rock bluffs are obvious as you cruise either side of the lake. Irregular banks, broken-off bluff-type banks, small cuts, pockets and main-lake points around these rock bluffs, are best for searching these ever-roaming schools of summertime bass. Lures that closely mimic shad, bream, crappie, minnows and crayfish are excellent choices. Worms, lizards, crayfish imitations, jig combos, grubs, finesse type lures, tube baits, all both Texas and Carolina-rigged, are sometimes needed for finicky biting smallmouths and an occasional largemouth bass. Lure colors can vary, its according to water clarity. Always keep one thing in mind when fishing Wilson lake during the summer (or actually any other time of the year). Find the baitfish and find the bass. Daytime is good on Wilson lake but the locals know, “Night time is the right time”. The aforementioned areas just below upper Wheeler dam at Wilson Lakes headwaters, surrender trophy-sized smallmouth bass, largemouth bass and striped bass during the moonlit nights of summer. 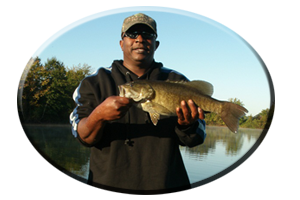 The smallmouth bass are known for their rod-jarring strikes and many an angler has actually had the rod jerked right out of his hands. These are smallmouths in the 5-10 lb. class and several from 7-8 lbs are taken each summer. * That is, by the angler lucky enough to land these hard-fighting and high jumping brown bass. Late evenings, as the sun goes down and it begins to cool, several species of these fish will school and feed below Wheeler dam. Many lures, fished in various ways, can trigger strikes from top to bottom as it gets dark. Jigging spoons and casting lead tail spinners always catches “what evers biting” even after dark. So do the use of grubs of all sizes, various weights, certain colors and even styles. Dropping spinnerbaits is deadly on these bass at night. Proven colors have some red, purple, black, brown or chartreuse. Single Colorado blades provide a helicopter fall, a much better feel for the angler, and provide more of a “thump” for the bass to detect. Colorado blades in sizes of #5 to #8 in single or tandem blades, in weights of 1/4 to 3/4 of an ounce, should be tried on each outing to determine what the bass want. * Big, willow-leaf blades should not be excluded either, for on some nights these bass can be awful picky feeders. Creek mouths and even stump flats in the far back ends of these feeders have largemouth’s that roam the shallows at night. Again, spinnerbaits take a lot of these bass, but worms, lizards, and jig combos can be The Big Bass lures. 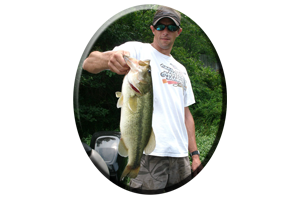 So are various types of topwater lures. Adding rattles, fish attractants and sharp hooks (Gamakatsu brand) are a must for a more enticing lure and better hookups. 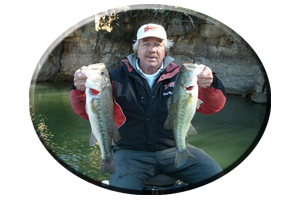 Look for schooling bass action at mid-morning or when night fishing. * These areas can show some Big bass action around dawn and just after daylight. Keep a good grip on your rod!